Home > French Blog > French Vocabulary > How do you Say “French” and “France”? This seems simple enough but we use different words to say “French” according to their grammatical value and their meaning. 1 – How do you say “French” as in “the French language”? The name of the language is LE françAIS – masculine, S silent, lower case F.
Usually, the “le” stays ; j’étudie le français, j’aime le français, j’apprends le français etc… but with the verb “parler” (to speak), we drop the “le”, we usually say “je parle français”, although the alternative (je parle le français) is not a mistake, but it’s much less used. 2 – How do you say the Names of the French People ? One Frenchman: un Français (ends in a ay sound, s silent). 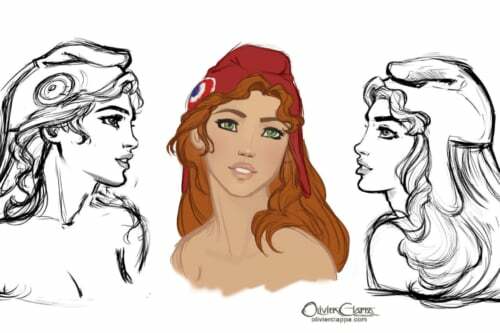 One Frenchwoman : une Française (ends in a ayz sound). Several Frenchwomen : des Françaises (ends in a ayz sound). Several Frenchmen (with or without Frenchwomen): des Français (ends in a ay sound, s silent). 3 – How do you say Something or Someone is French ? This time, it’s not going to be a noun, but an adjective. The F will be lower case, and the adjective will agree in number and gender with the noun it modifies. Learn all about French adjectives in this audio lesson. Now it can get a bit more complexe when the adjective “French” modifies “a man” or “a woman”. In English, you can say “a Frenchman”. It’s a noun. You can also say “a French man, a man who is French”. In this case, French is an adjective. Note that adjectives of nationality take an uppercase in English, they don’t in French. A Frenchman : un Français (upper case F, Français is a noun). A French man : un homme français (lower case f, français is an adjective). 4 – How do you say the Name of the Country, France? 5 – How do you say “I Study French”? In French you cannot say “I take a French class”. Your class is not French itself, it’s an idiom in English. You class is “about” the French language. I take a French class = I take a class of French language = = je suis une classe DE FRANÇAIS (not je suis une classe française, you cannot translate literally, it won’t work in French). 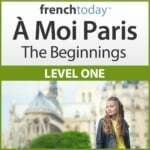 I study French = j’étudie le français = the name of the language is “le français’. I study the French language = j’étudie la langue française = “la langue” is feminine, “française” is the adjective “French” agreeing with “la langue”, hence feminine singular. To remember all these rules, I suggest you copy the examples on flash cards, and learn the appropriate usage in context, rather than trying to remember the rule. And remember, as always, repetition is the key! You may also like my lesson on Vive la France – French Patriotic Expressions and Symbols.